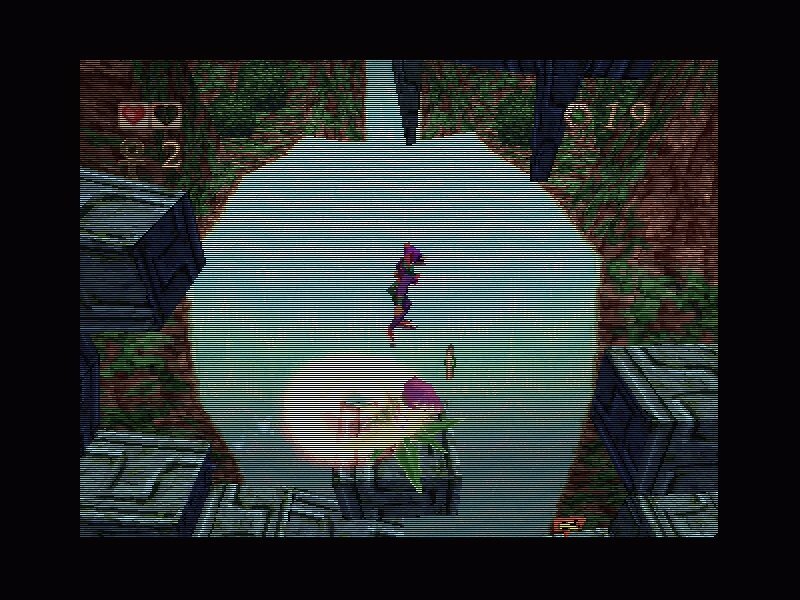 Console ports flooded the personal computer courtesy of Sony, Nintendo and Sega. 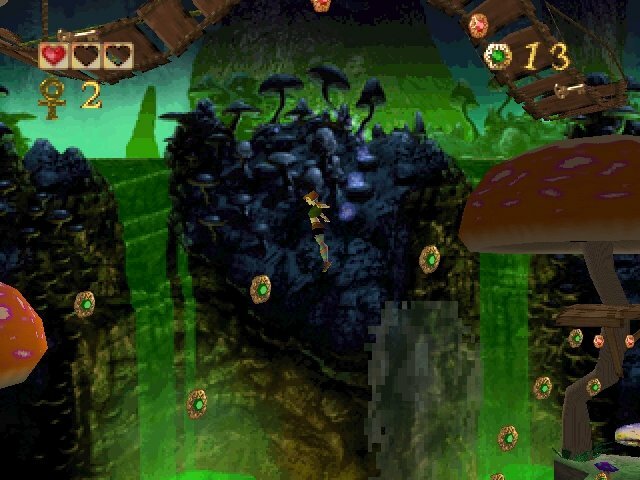 Pandemonium, originally released for the PlayStation, is strictly a 2D platformer set in a 3D landscape. 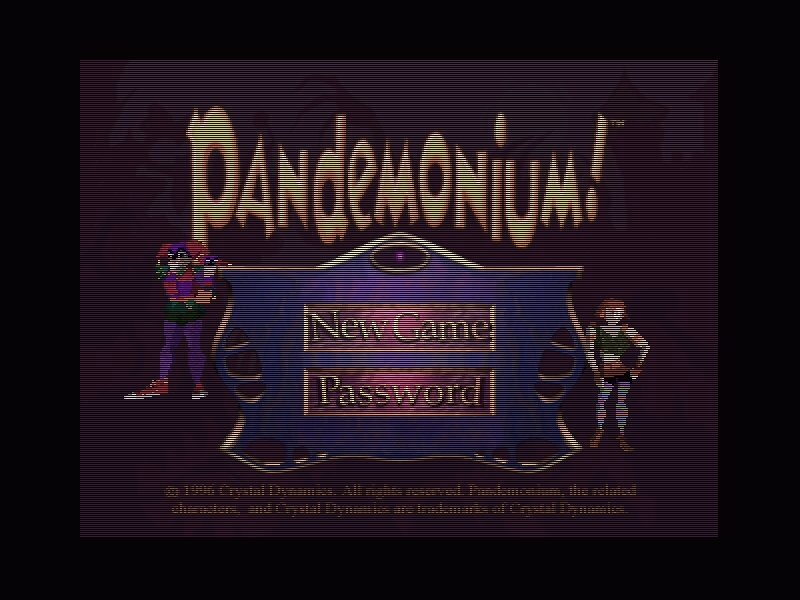 This isn’t a terrible thing since, graphically, Pandemonium is a feast when it runs in Glide mode. It features smooth-scrolling 3D that swoops from one perspective to another with ease. 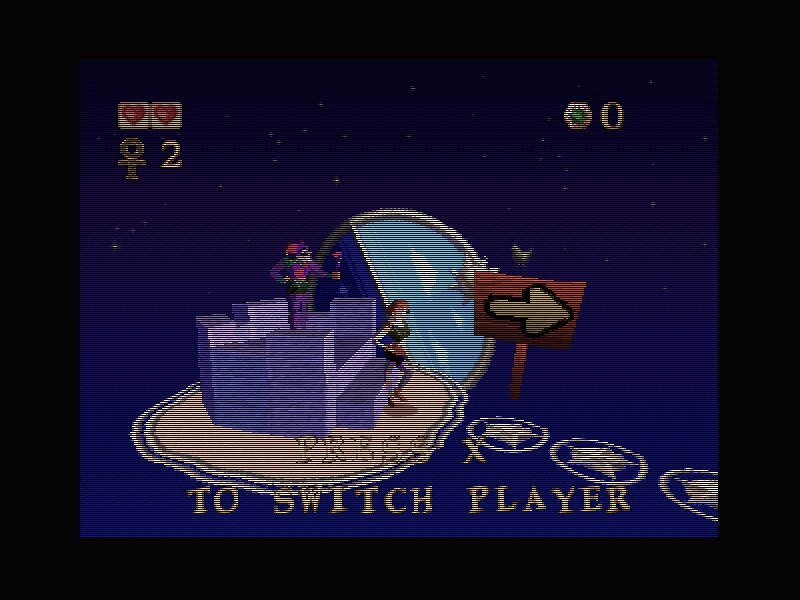 The graphics are much smoother than their PlayStation counterpart, and also support a few extra control options within Windows. 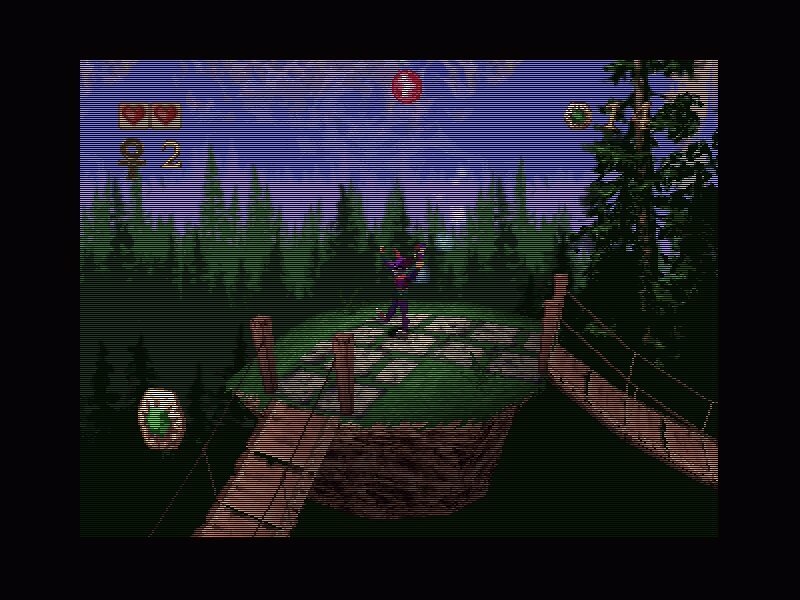 But beyond the visuals, the game is very straightforward. 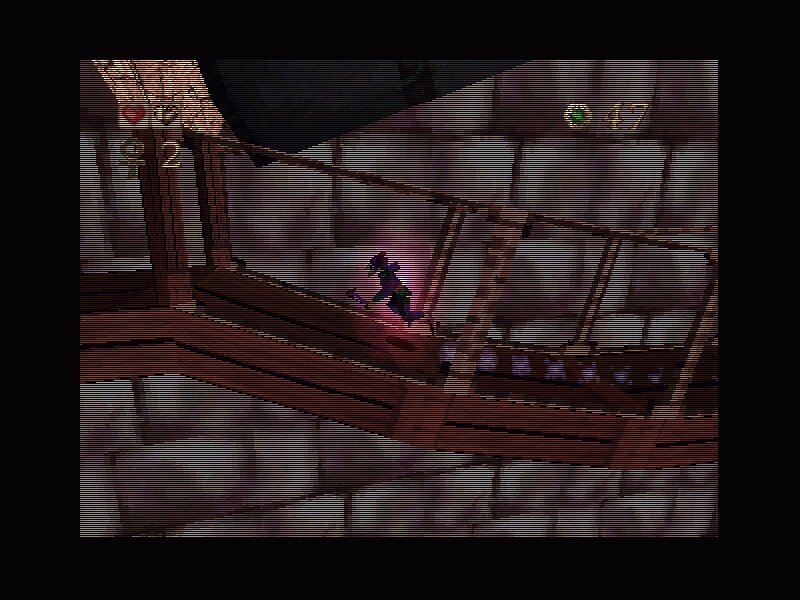 Unlike Mario on the N64 or Tomb Raider, you are stuck to a rigid path of movement. 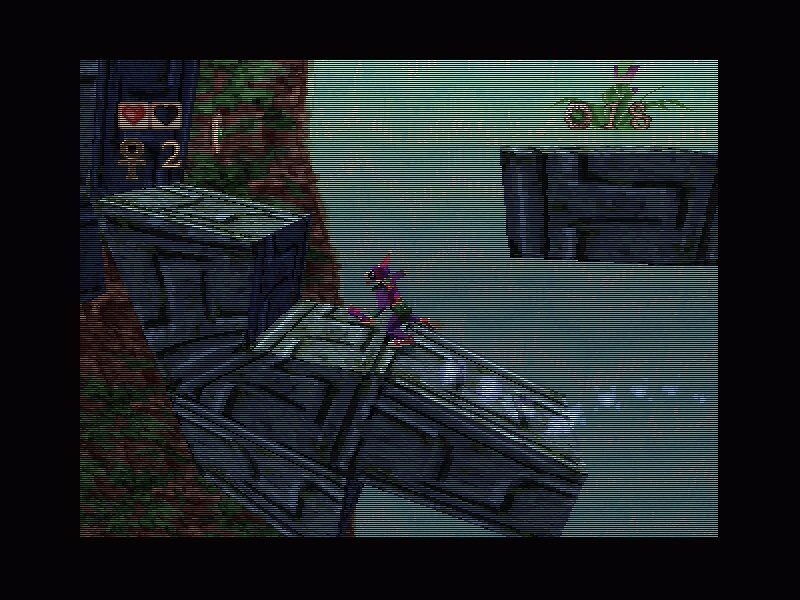 You have plenty of freedom as a side-scrolling character, being able run, jump and climb up, down and sideways from one end of a level to another (thank goodness there’s no fall damage), but you’re always lead through a linear path from Point A to Point B. 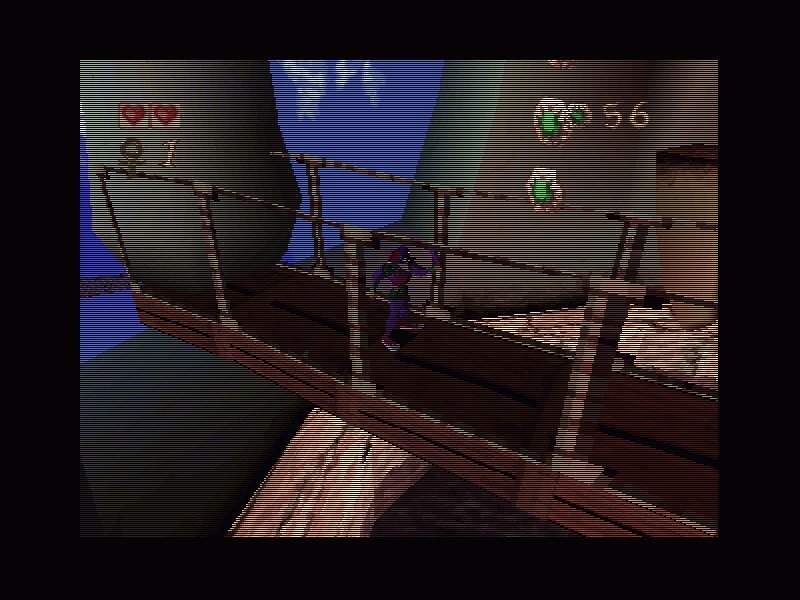 This limitation aside, the rest of the game’s elements are great. 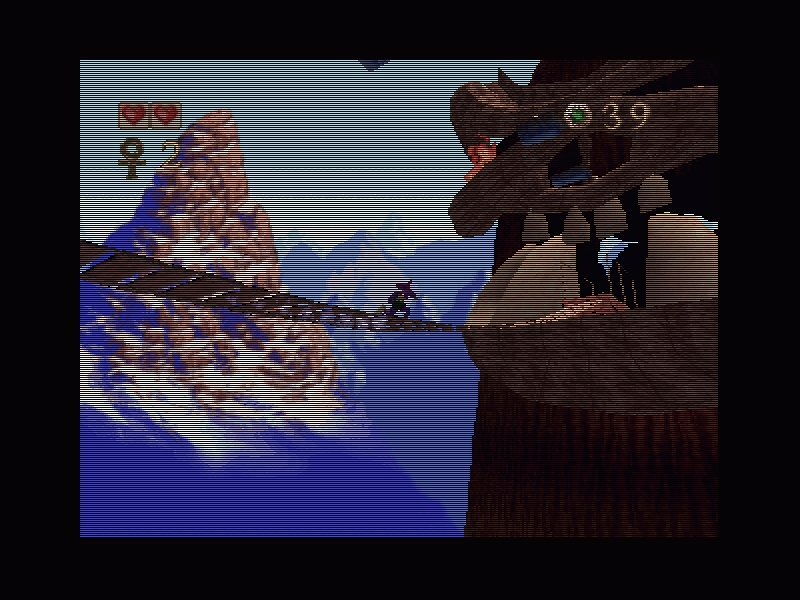 There are 18 stages set in different worlds that range from Forests to mines or ice worlds, each with their own specific hazards and enemies. 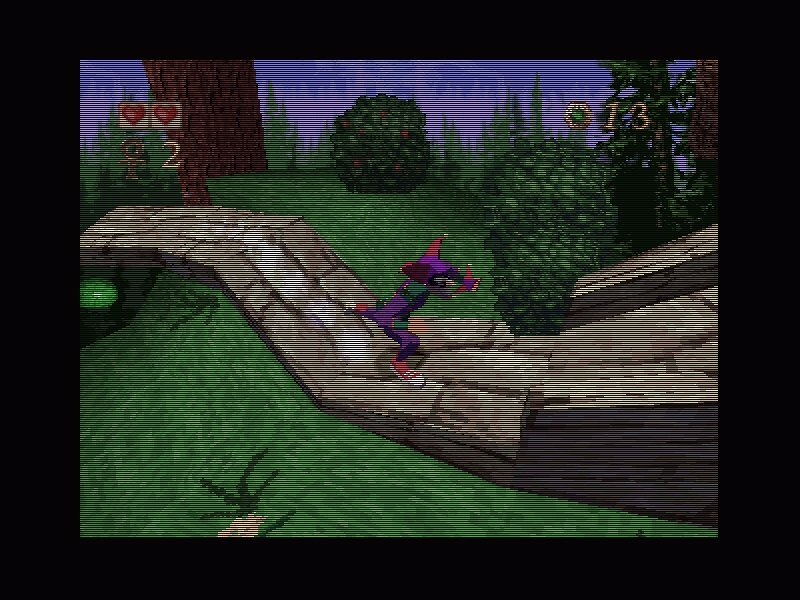 You may choose to play through them as either Fergus the jester or Nikki the acrobat. 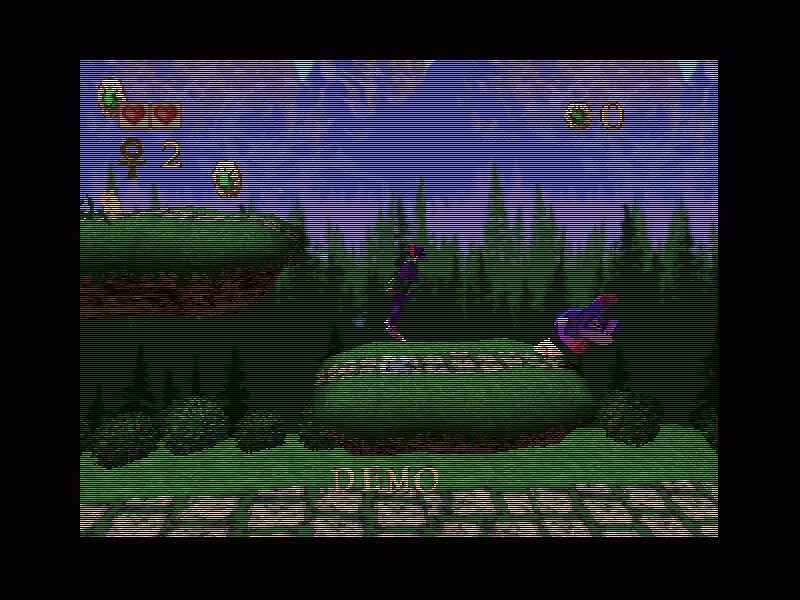 The different between them is Fergus has the capability to cast spells and uses a cartwheel attack to eliminate his enemies, while Nikki has to jump (as well as double-jump) over obstacles and enemies to get through. In the end, Pandemonium comes off as an enjoyable little platforming game with some interesting twists and a nice presentation. It can hardly be called original, but if an enjoyable graphical experience and traditional platform gaming sounds attractive, then it can definitely offer a few hours of fun. 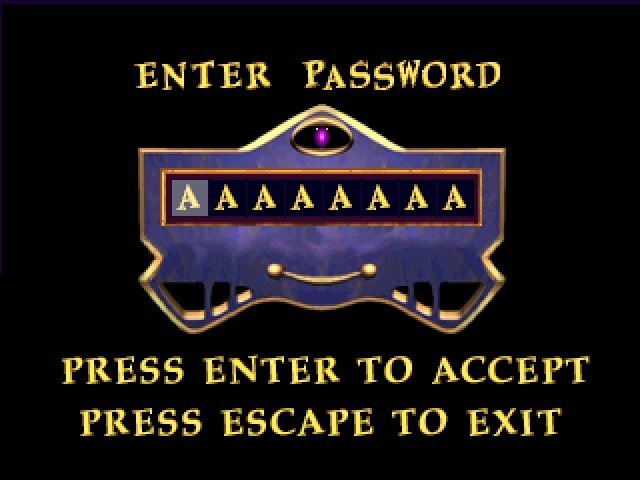 Thank you, Old PC Gaming! 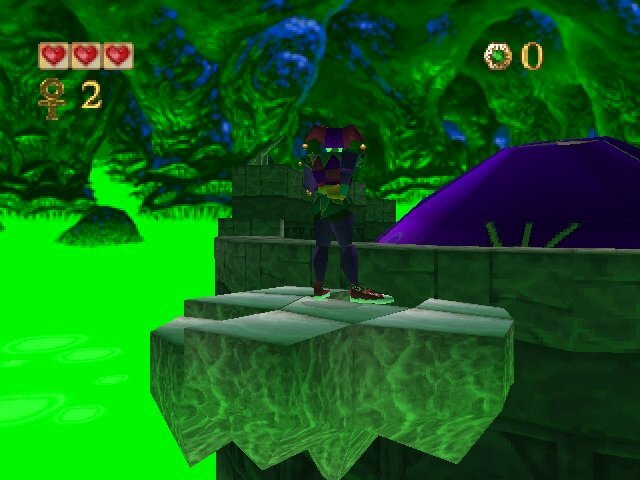 Screenshots looks from other game. Now screenshots are ok. I don’t know was it my browser’s fault when i saw here screenshots from Beatdown. It was my fault. Fixed now. I played this game, now my son plays kkkk. Okay, now’s the time for some minor mistakes contained in text. Firstly, the joker’s name’s Fargus, not Fergus. 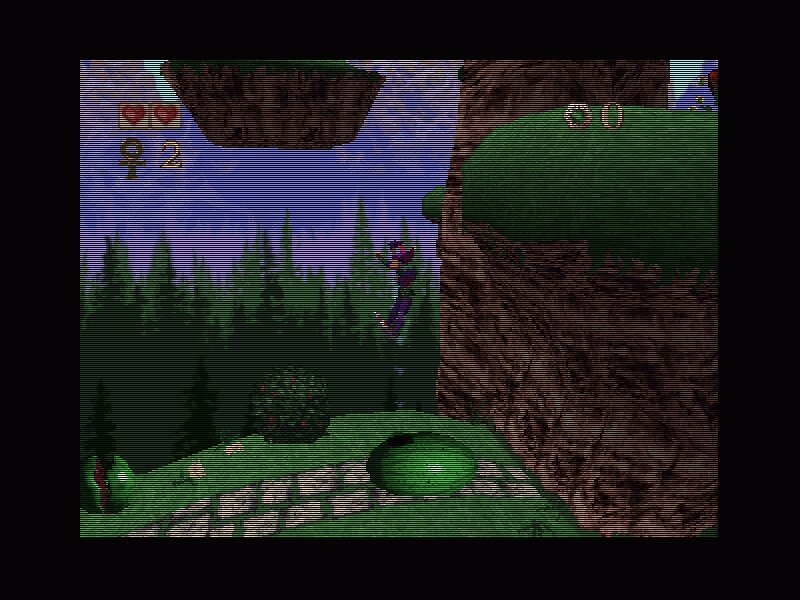 Secondly, some words concerning unique abilities of characters whether it’s Fargus or Nikki: jester can neither double jump nor can he use long range magic attacks, but he can do his catwheel attack anytime which makes him seem more protected against omnipresent enemies, while Nikki’s capable of double jumping in midair and casting several kinds of spells depending on the symbol she picks up. Unlike Fargus, the girl has no means of self defence (and attack) while she has no magic at her disposal, except bouncing on dumbass enemies heads. Developers pose her as a weaker character that uses her cunning to outsmart the opposition.